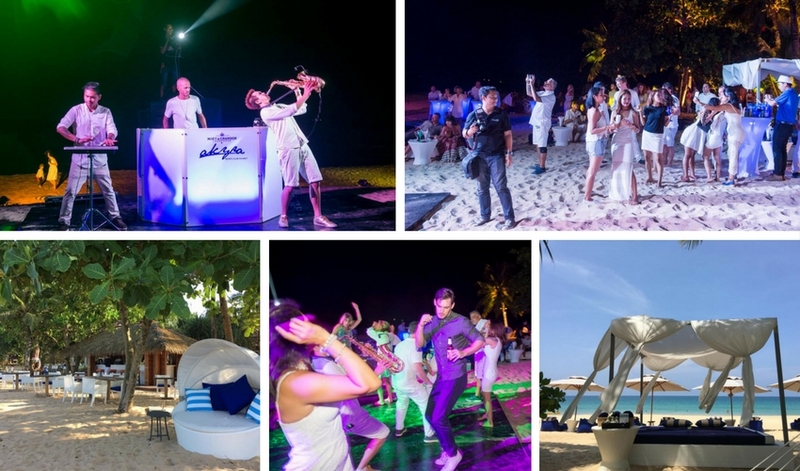 akyra Beach Club Phuket to host Surfing Contest and monthly White Parties on the beach with international DJ's. Phang Nga, Phuket residents and visitors are invited to experience and enjoy the island’s coolest new beach party concept on stunning Natai Beach. 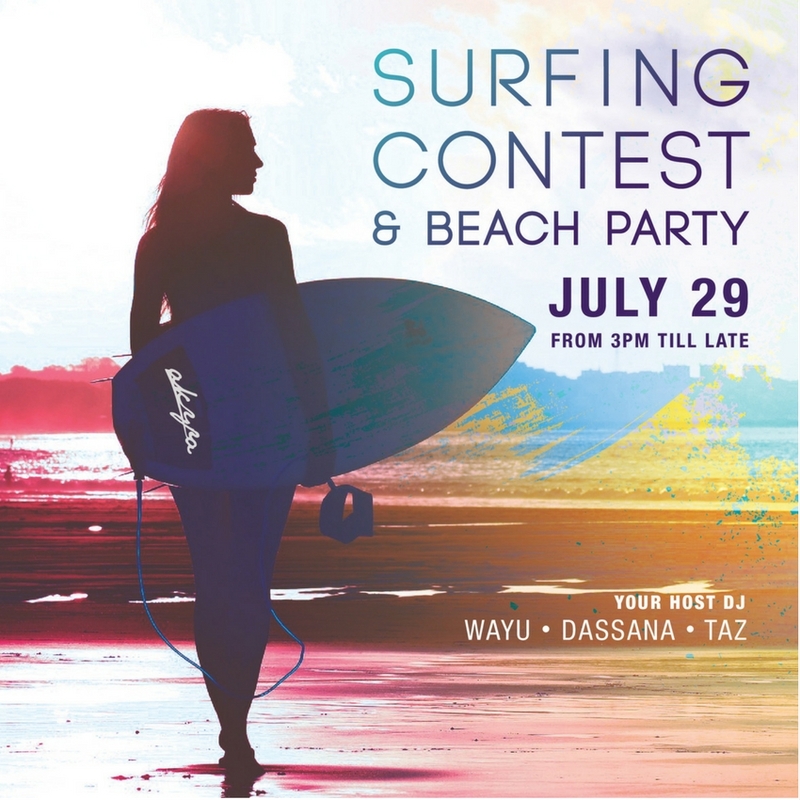 akyra Beach Club Phuket is officially hosting its monthly White Beach Party on 21st July, followed by an exciting and unique surfing contest a week later on 29th July supported by Bermudos Creative Community and the Phuket Surfer Girls. As the sun sets on Friday 21st July, revelers are invited to “paint the night white” as they celebrate the good life with a beach barbecue, spectacular fire dance show and plenty of special surprises. To add to the beach side vibe, DJ Jack Haze, with his rich musical culture, from disco classics to underground house and techno, will take to the decks. Jack has spun his eclectic mix in France, Spain, and USA in famous clubs such as Rex Club, Folie's Pigalle, Bains Douches (Paris), Bed, Le Souk (NYC). He has also released tracks on the legendary American label Communiqué (Woody McBride).His signature style is groovy, deep and melodic – music dedicated to the underground and delivered with pure energy. “The White Party sets a new standard for regular beach side events with an incredible waterfront setting, great music, top drawer food and drinks, all in good company,” at this Boutique Phuket Resort. Just one week later on 29 July, the akyra afternoon will be started with a friendly girls’ and kids’ surf contest. It is opened to all with no registration fee, courtesy of long established Phuket residents’ surfers group, The Phuket Surfer Girls. More than just a competition, the event will offer a fun, friendly get together with all participants introduced to the wonders of surfing, right in front of Club akyra Beach bar. Soonantai Beach Bag is the official partner and judge for the contest, which lasts form 3 pm to 6 pm. While the more adventurous participants are distracted by the challenge of the ocean, Bermudos Music Label – the infamous Phuket-based house music brand and creative community – will make sure that everyone remaining on the beach enjoys the afternoon in equal measure. DJ Wayu, DJ Dasssana and akyra Beach Club Resident DJ Taz will take to the decks all day long to provide the ultimate sun and surf soundtrack. Local beers and selected cocktails will be priced at THB 100 throughout the day. As the sun sets, the party will step up a level, with a Beach BBQ buffet, more entertainment and after night falls, spectacular dance and fire shows will entertain the party goers. After enjoying the party, guest may opt to book the weekend at akyra Beach Club Phuket.